You may have spent a lot of money in acquiring your air conditioning and heating system with hopes that it will serve you for many years. Yet, a time will come when any repair work would be a costly short-term affair and you will have to let your beloved system go and replace it with a newer and modern model for health, efficiency, or environmental reasons. Your heating and air conditioning system would still be working but not as efficiently as it used to perform or as its newer competitors would. Technically, its Season Energy Efficiency Ratio (SEER), which is a measure of how much cooling a heating and air conditioning system can put out for every one unit of energy it consumes, has declined. Newer models operate at least 13 SEER or are 30 percent more efficient. If your system is 10 SEER or less, you need to replace it. This is because your old system is using significantly more energy than newer models. It would be the reason your power bills are literally shooting through the roof. Your AC and heating system’s ideally should serve you well between 10-15 years, the average time manufacturers of such systems expect them to last. Once it clocks 10 years, its performance will start declining, several of its parts develop problems almost on a daily basis and the whole system breaks down on a regular basis. A technician will essentially be camping in your home struggling to keep it running with repairs. If your system is running on a refrigerant known as R-22 or Freon, it is dated. For, under the Clean Air Act, the United States Environmental Protection Agency (EPA) condemned R-22 in 2010 because of its negative impact on the environment and recommended phasing out of gadgets with R-22. In fact, by 2020 it will be a felony to manufacture such gadgets. So, replace your unit running on R-22 and go for a new system operating on the environmentally friendly refrigerant, R-410A. It is worth noting you cannot use R-410A in your old system. The ravages of time –wear and tear-will start taking their toll on your system when it hits 10 years. 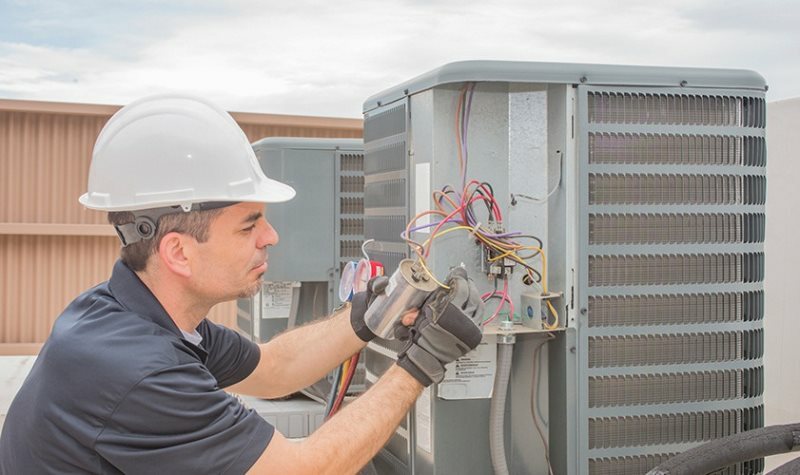 It key parts – like the condenser coils, condenser, or compressor – will require constant repair or replacement, reducing your system’s efficiency while driving up operational costs. Its power consumption will go up despite its use or performance remaining constant. This is the right time invest in a new system. Your AC and heating system may be too small or large for the space you want it to cool or warm. This means it would mean your system is struggling or working below its capacity to cool or heat the space you want to cool. Simply put, it is on performing optimally and you better replace it with one that matches your needs.